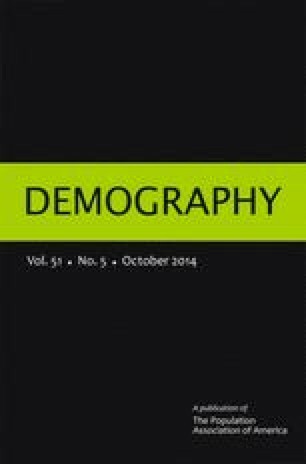 We provide new evidence on the long-run labor market penalty of teenage overweight and obesity using unique and large-scale data on 150,000 male siblings from the Swedish military enlistment. Our empirical analysis provides four important results. First, we provide the first evidence of a large adult male labor market penalty for being overweight or obese as a teenager. Second, we replicate this result using data from the United States and the United Kingdom. Third, we note a strikingly strong within-family relationship between body size and cognitive skills/noncognitive skills. Fourth, a large part of the estimated body-size penalty reflects lower skill acquisition among overweight and obese teenagers. Taken together, these results reinforce the importance of policy combating early-life obesity in order to reduce healthcare expenditures as well as poverty and inequalities later in life. The online version of this article (doi: 10.1007/s13524-014-0325-6) contains supplementary material, which is available to authorized users. We thank John Cawley, Andrew Clark, Gordon Dahl, Fabrice Etile, Pierre-Yves Geoffard, John Komlos, Fabian Lange, Inas Rashad, and participants at the 9th IZA-SOLE conference, the workshop on the Economics of Obesity at the Paris School of Economics, the 3rd ASHE conference, the Seminar at the Centre for Economic Demography, Lund University, and anonymous referees for useful comments. Research grants from the Centre for Economic Demography at Lund University and the Swedish Council for Working Life and Social Research are gratefully acknowledged.